Have a look at below screenshots which shows you the methodology of using the NSE mobile Platform "Now"
NSE is undertaking a lot of technological advancements and we do hope that their efforts go a long way in improving the customer experience. 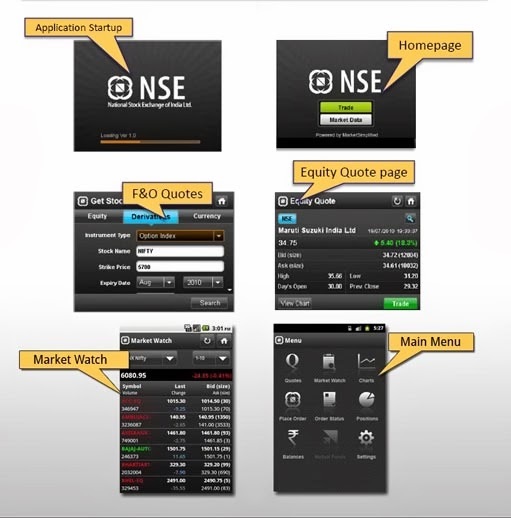 Have a look at below screenshots which shows the way NSE platform looks like and how it functions. Check NSE Mobile Trading Platform Verification Procedure here.